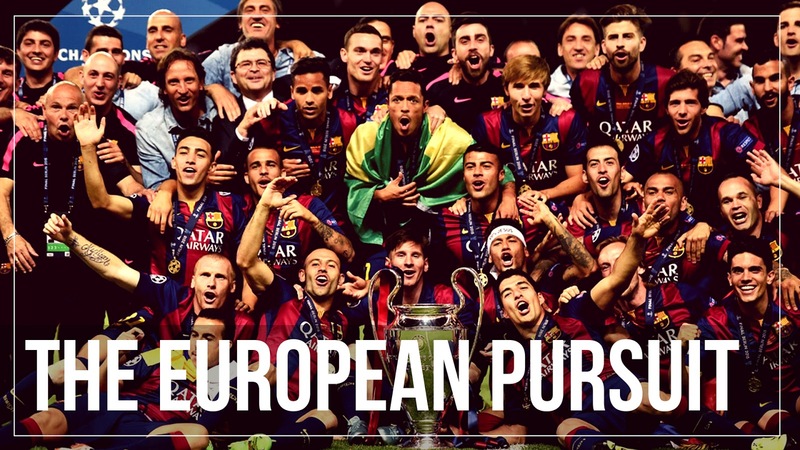 It will be all about UEFA Champions League this Season for Barca! Valverde had to face huge pressure in his first season as Barca coach; but that will be nothing compared to what he will face this time around with special focus on UEFA Champions League. For many Barca fans, last season felt like an abject failure despite winning two of the most prestigious trophies - the La Liga Title and the Copa del Rey Title. And it was all due to that fateful capitulation at Roma which many believed was a managerial fault at the core. Barca fans have not forgot the tactical disaster Valverde displayed against Roma and a repeat of same at any stage will definitely get him kicked out of the Club. To an extent, it is quite unfair to consider last season as a failure; especially considering where we started. We were support to die down as a club as per many pundits; Real Madrid were supposed to win everything and we were supposed to be mere spectators. Valverde did well to win us the double and raise the expectation for this season. As per Voetbal Wedden, FC Barcelona has the highest odds of retaining their title than any other team in Europe. Mission Demolition Argentina : Messi's Penalty Miss Unsettled Argentina and the Rest Sampaoli Did! And it ended, may be in a spectacular fashion than everyone anticipated. Lionel Messi bowed out of yet another World Cup with more questions than answers! Despite this Argentina being one of the most horrible teams, everyone agrees that they putup quite a show before they bowed out. The fans would have some consolation that they went out to a better team and their team performed better than their abilities suggest.